Click here for the Best Cheap Rifle Scopes available in 2017! If you are aiming to compete with experienced shooting professionals on high level hunting games, it is essential to secure the right gear and equipment. 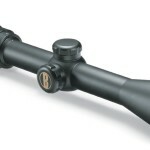 It is much easier to find reasonably priced rifles today but the scopes are different. You will find several around that are affordable, but most are from less known makers with very little reputation among shooting enthusiasts. If your goal is to ensure good performance, the most logical choice is to follow suggestions from the pros – and what they tell you don’t come cheap. The idea of getting expensive rifle scopes to ensure performance is now a thing of the past. Various makers have been listening and they made a series of improvements geared to make the models more affordable by using less expensive materials. 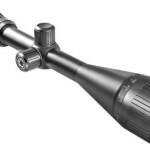 This theory paired with their expertise in creating efficient, functional and durable designs make the following list of six riflescopes that are worth less than two hundred USD. Click the image for Bushnell 223 prices and reviews! 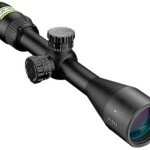 This cheap rifle scope offers very clear images up to the 12x magnification level. It comes with a lifetime warranty suggesting great confidence from the maker about its durability. This Bushnell model’s reticle system is specially calibrated for the 223 round up to 500 yards with a hundred-yard increment. In term of their optic quality, every setting is crystal clear and works well for all power levels. The design’s optical power is several steps advanced that any of Bushnell’s creations since 20 years ago. One of the best features of the scope is its zero aspect target turrets that make sighting easy and fast. Using the controlled set-up, the performance of the rifle yielded a group of 5 rounds at 1.95”. Since the scope works well with an AR-15, consider this as an affordable option for your AR rifle. As mentioned, we used the 9x power since there are other candidates that only stopped at 9. But the extra magnifications will give you better sighting accuracy for far targets. 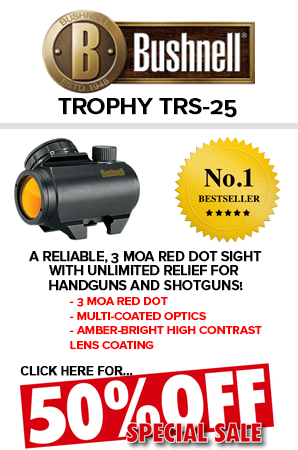 Click the image for Leupold VX-I prices and reviews! 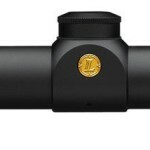 The most expensive in the group is this Leupold scope and you can immediately see that from its elegant black matte exterior and sophisticated design. For a high class item it’s still affordable. From a feature standpoint, you’ll be treated to straightforward performance enhancements except for the gold ring on the objective. It offers standard cross hair reticle without target turrets. Its optics doesn’t provide any illumination but surprisingly it has the best lens clarity among the others in this list. For the ranking test, it yielded a 1.55” group, doing better than the Bushnell AR Optics. This kind of performance for a simple set-up definitely proves that having more scope features isn’t always better. However, the test was done during good weather, a stable surface and no wind intervention. Without features to withstand such hurdles, its performance might have been worse. Click the image for Barska Varmint prices and reviews! 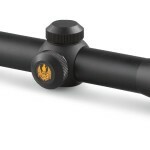 By just knowing that the scope offers a 50mm objective, you’d think this it is the most expensive. But, it’s actually the cheapest on this list. Moreover, its magnification levels cover a wide range of 6.5x to 20x making it a good option for all types of target ranges. Do take note that aside from the optic power and objective, the design doesn’t have any more features to show off. To get a price as low as it has, sacrificing a few features was the only way. As a check, a test of all magnification levels were set-up but everything above 16x couldn’t give a clear image. Using the 16x magnification, it gave a group of 1.95”. You can clearly see the target and the thin cross posts and small target dot made its reticle give an easy sighting. You can hear when you make the adjustments and that made shooting easier to control. However, we had only set the test standard to 9x and its performance dropped significantly to a group of 2.25”. Overall, its most redeeming features are the price and its crisp sighting up to 16x. As long as you’re fine about not being able to use the levels above 16, this rifle scope would be a smart choice. Click the image for Bushnell Banner prices and reviews! Another model with a 50mm objective is the Bushnell Banner. Compared to the others, its design is much closer to a traditional scope for hunting due to the red/green multi-x reticle. It comes with manual turrets that required you to remove the caps and set the elevation and wind. To make up for it, its optics was illuminated. For its sighting capability, the lenses give a crisp and clear image. The green reticle also made the black and white target highly visible without any halo in view. Using the test, it resulted to a 2.25” group. It ranks in the middle among the others with only a little more than the BARSKA. Undeniably, it packs a lot of potential for standard hunting settings. Since the reticle is illuminated, the scope makes a good choice for shooting activities in dark settings. It does not have target knobs but works well overall making it a deserving contender for the best rifle scope under 200 USD. Click the image for Nikon ProStaff prices and reviews! The first Nikon scope is also more of a hunting rifle partner due to its turret caps. You can easily see the caps can be used for protecting your adjustments during high pace hunting games in unfamiliar terrains where you’ll most likely bump and slide against branches and bushes. It is also a good stabilizer feature when you’re on the move or in an ATV. The great thing about Nikon scopes is that they really put their best on making the lenses. You will experience unparalleled light transmission and an advanced feature of a bullet drop compensator that can be partnered with the brand’s Spot On ballistic software. It is a downloadable application that allows you to know ballistics for any type of cartridge. It can be used in a computer, tablet or a smart phone. For the ranking test, it yielded a 2.1” group fighting on par with Bushnell and BARSKA. It will work best on a 308 Winchester, a 358 Norma Magnum or 30-06 Springfield. Click the image for Nikon P-223 prices and reviews! The second Nikon model on the list is the P-223. It ranks second most expensive and boasts a return-to-zero capability and target turrets. Like the previous Nikon model, it also uses a bullet drop compensator. 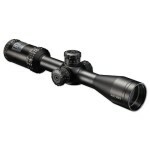 Compared to the Bushnell, the glass is clearer practically on par with the Leupold. With a convenient eye relief feature, it gave a 1.95” group for a 200-yard target. It’s developed to work best on a 223 Remington or on a 5.56 NATO. To make the screening and ranking as accurate and general as possible, certain criteria were established. First, all scopes should have power variables from 3x to 24x magnification. All candidates also had 1-inch diameter tube filled with nitrogen that stabilizes the playing field. Most of all, all models were screened for durability and efficiency by checking if they can handle without losing zero the rigors of 200 rounds of center-fire ammunition. The actual test incorporated an AR-15 rifle that has a stainless steel barrel with a twist for every 7 inches. The ammunition was also uniform using match-grade 62 Grain Full-Metal Jacket Black Hills Boat Tail. To complete the set-up, a match-grade trigger and a Harris bipod was also included in the mix. The entire set-up was designed to eliminate as much human error from the equation. 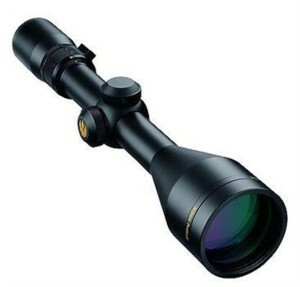 The target distance was set at 200 yards and all scopes had to be used in the 9x magnification since all models had different maximum power levels. All models also differ in prices ranging from 75 USD to 199.97 USD. This diversity was meant to represent all types of scopes and their different features instead of choosing models that only come from one price class with usually uniform capabilities. As for the basic criteria, all scopes had to be fog proof, water proof and shock proof. Each had to have multi-coated lenses that ensure high target visibility and thus the top six below. The comparison test pointed out good and bad points for each. The AR scopes had limited use, the BARSKA didn’t support higher magnifications as promised and the rest had turret caps that are only good for hunting. The good points outweighed the bad and you will see a good balance. If you are using a rifle chambered for a 223 Remington, the Nikon P-223 will be the best choice. However, the overall winner for the test is the Nikon ProStaff. It works on most rifle models and offer versatile features to match some of the unique challenges in shooting and hunting games. For a price under 200USD you cannot go wrong with it. The Leupold is an elegant choice but the ProStaff’s black matter exterior isn’t losing. Click here to see the Best Cheap Rifle Scopes available in 2017!